We are delighted to announce that we have officially become a deaf-friendly company. After spending some time training with the Merseyside Society for Deaf People, all of our drivers are now deaf friendly and aware. Armed with the knowledge of how best to cater to those who are hard of hearing, we hope this opens the doors to all members of the deaf community to feel comfortable using our professional chauffeur services on a regular basis. Collaborating with the Merseyside Society for Deaf People really opened our eyes to the difficulties members of the deaf community experience daily. Something as seemingly straightforward as jumping in a taxi can be an extremely stressful and disorientating ordeal for those who struggle with deafness. Thanks to the deaf awareness training all of our drivers participated in, we, as a company, have a far greater understanding of how to accommodate deaf people – both from a simple communication standpoint as well as how we can better tailor our offering to suit the deaf community. The lessons we took away from the deaf awareness training were many and wide-ranging in nature but some of the most effective were also the simplest. When it comes to communicating with the deaf community, sometimes we have to ignore our instincts. Raising your voice isn’t always helpful, and the same can be said for exaggerating the movements of your mouth when talking to a lip reader. Ensuring that you have the listener’s attention before you start speaking and maintaining face-to-face contact on the other hand, can be far more accommodating. Getting an awareness of the some of the simple changes we can make as a company, means we are better positioned than ever to provide the stellar service we aspire to for all. Just as we make sure to tailor our service to fit those from different countries and cultures who speak different languages, we hope to have done the same with the deaf community. We see ourselves as an inclusive company that strives to welcome any and all customers and this is another significant step towards achieving that goal. 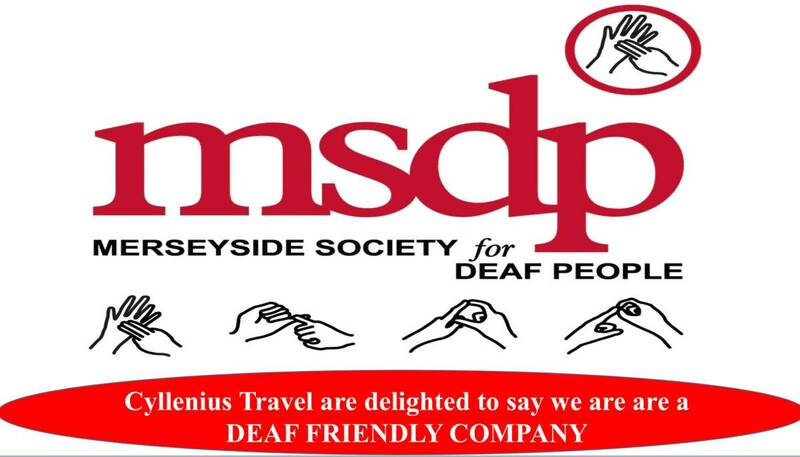 We owe the Merseyside Society for Deaf People a great deal of thanks for their comprehensive and educational training and we hope many more transport firms follow in our footsteps. We like to think of ourselves as trailblazers in the transport industry and this move is just the first of many in marking Cyllenius Travel Services as an industry leader. 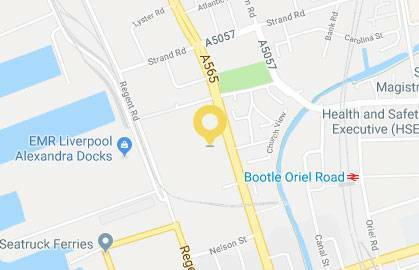 We’d like to think another one of those moves is our role as official transport provider for Nutricia – a Liverpool based supplier of medical nutrition. The importance of delivering vital medical nutrition to those who need it in the city is not lost us on us and we see Nutricia’s endorsement as testament to the quality of the service we provide. If you do require professional chauffeur services in Manchester or Liverpool, you can get in touch with us: by phone (0151 523 7734) by email (info@cylleniustravelservices.co.uk) or by the contact form on our website. This entry was posted in Airport Transfers Liverpool to Manchester, Airport Transfers to Manchester Airport, Corporate Chauffeur Liverpool, Manchester Airport Transfers Liverpool and tagged airport transfers, deaf friendly company, deaf friendly travel, deaf friendly travel company, deaf friendly travel Liverpool, Liverpool deaf friendly travel, Merseyside Society for Deaf People, MSDP, travel company by Cyllenius Travel Services. Bookmark the permalink.